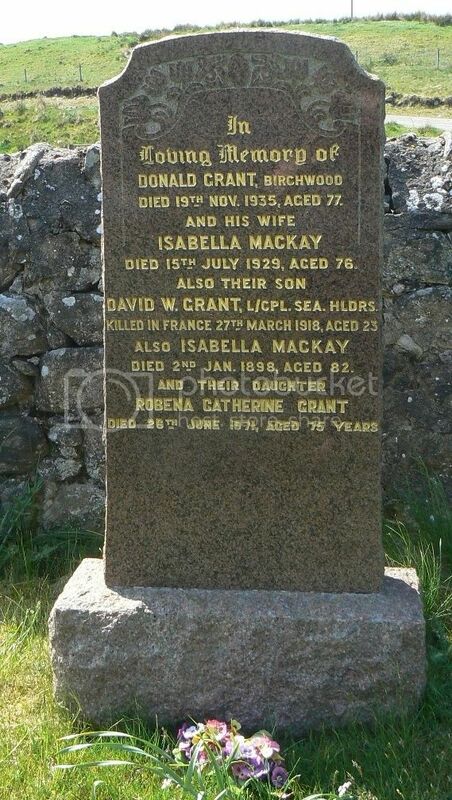 Son of Donald and Isabella Grant, of Birchwood Cottage, Dalhalvaig, Forsinard, Sutherland. 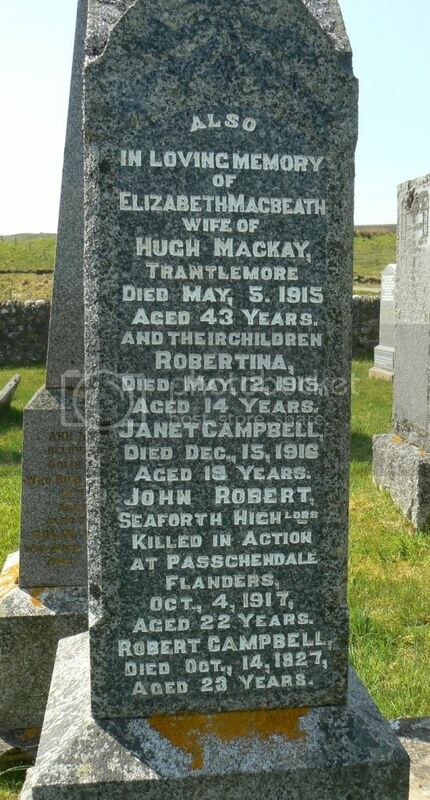 Son of Hugh and Elizabeth Mackay (nee Macbeath), of Laurel Cottage, Trantlemore, Forsinard, Sutherland. Son of John and Margaret MacKay, of Trantlebeg, Halladale, Forsinard, Sutherland. Croix de Guerre with Star (France). 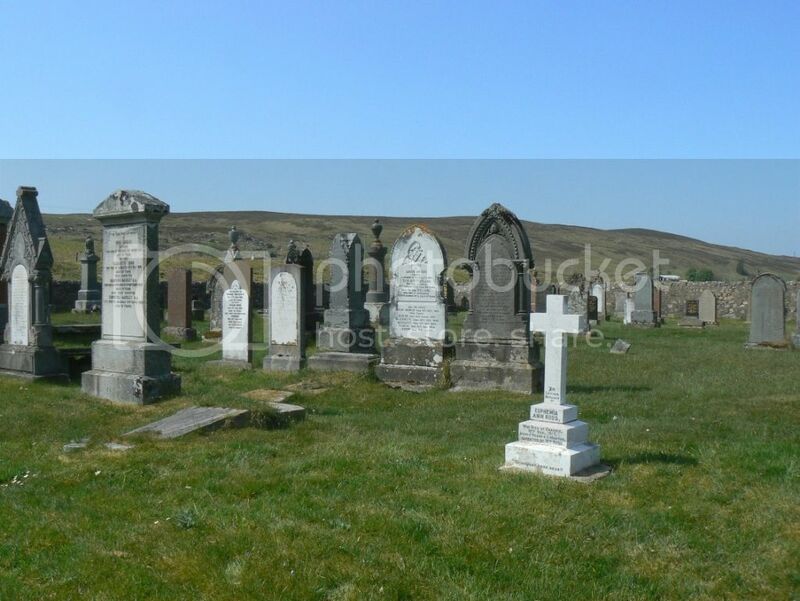 Son of James and Elizabeth Ross, of Golval, Melvich, Thurso, Caithness.